A Whimbrel and 3 Swifts were the best sightings of the 28th. On the 29th, the Marsh Warbler was retrapped, a new Blackcap was ringed, a Swift and a Whimbrel were seen again and the steadily increasing flock of Golden Plovers crept into triple figures. A Marsh Warbler trapped and ringed at Holland House in the morning was just about the only migrant in the gardens, but couldn't be found again later in the day. A singing Cuckoo and 2 Common Redpolls were seen, and a Rock Pipit on the west coast of the island was the first record of the species since mid-May. This was an uneventful spell, although one or two new birds each day still incentivised continuation of some daily census work during the quiet summer period. A Blackcap, 2 Common Redpolls, a Sand Martin, 2 House Martins and a Spotted Flycatcher were seen on the 24th, the latter staying on for another day. A Garden Warbler was new on the 25th; 2 Siskins, 2 Whimbrels and a Collared Dove arrived on the 26th; and a Willow Warbler and a Chiffchaff remained in the Holland House gardens the whole time. Two big Shelduck ducklings, the only survivors from an originally much larger brood, were encountered during a search for Common Gull chicks around Gretchen Loch. 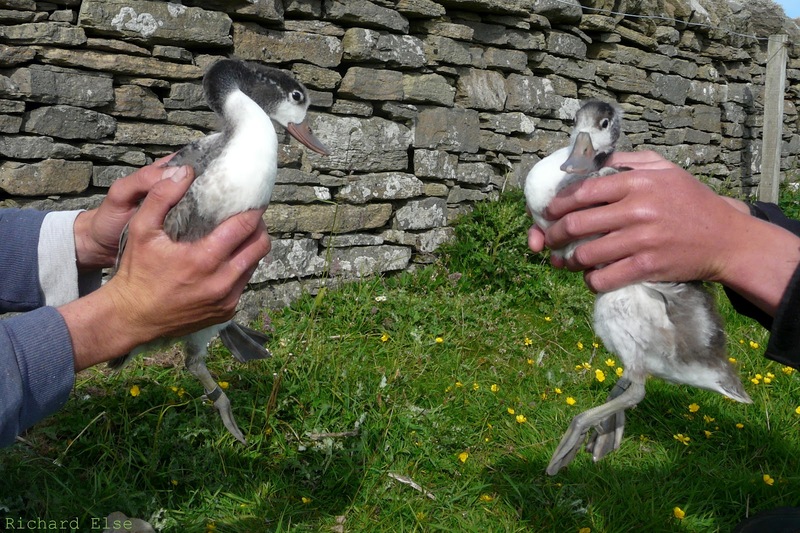 Surprisingly, these are the first Shelducks ever ringed here, despite the species nesting regularly on the island. 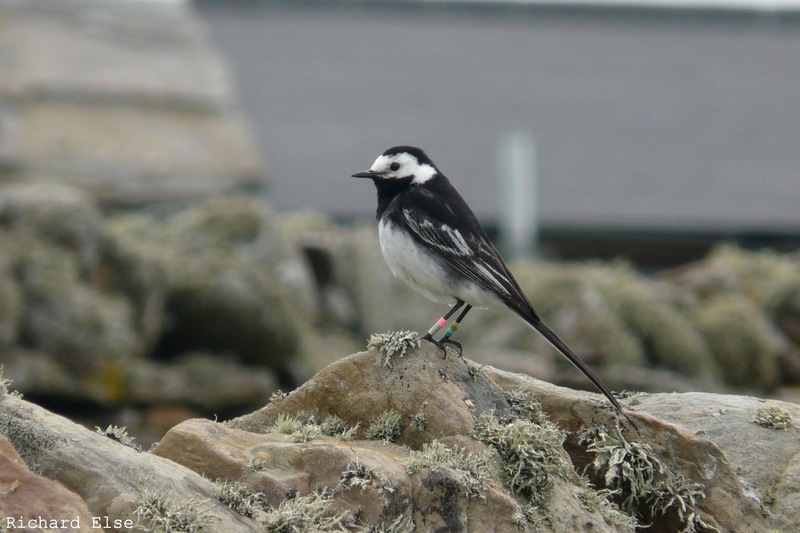 In other ringing news, this colour-ringed Pied Wagtail has been raising a brood of chicks near the lighthouse recently. 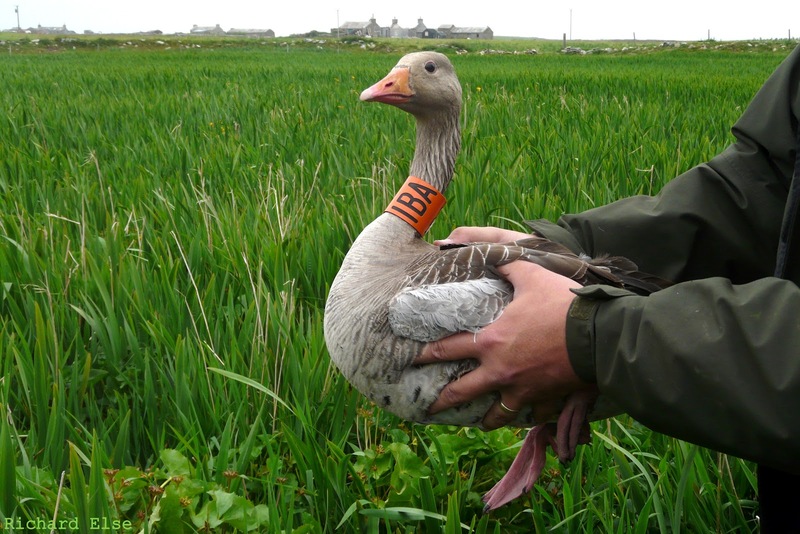 It was ringed in Weymouth, Dorset, early in 2010, and was also seen on North Ronaldsay in September 2011. 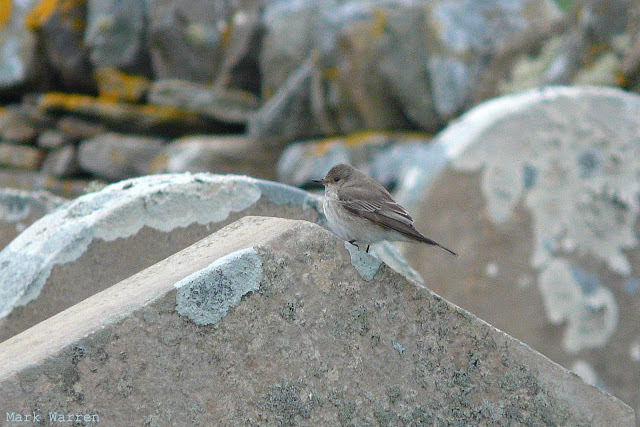 A House Martin and a Spotted Flycatcher were the only new migrants to report from a very quiet, misty day. An afternoon goose-chase into the depths of the Hooking Loch irises was a great success, with 8 adult Greylags and 16 goslings caught and ringed. The birds were fitted with orange neck-collars and darvic rings as part of an ongoing project into the movements of these birds. A Wood Sandpiper was the pick of a very small selection of migrants that also included 3 Chiffchaffs and 2 Willow Warblers. A long-staying White Wagtail was the only other bird of any note. Late, but not too late, for the odd spring straggler, a wind switching to the east brought a small number of new birds and a glimmer of hope for upcoming days. Passerines recorded during the morning included 3 Redpolls, a Siskin, a Song Thrush, a Whitethroat, a Garden Warbler and a Chiffchaff. A migrant Heron arrived and a Glaucous Gull off Twingness was the day's most unusual sighting. For several days a pair of Oystercatchers have been apparently raising a Common Gull chick near the observatory. 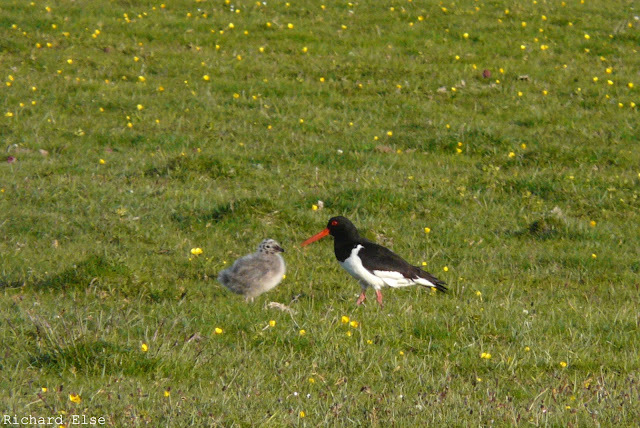 The Oystercatchers have no chicks of their own and have clearly adopted the gull, which follows them closely and begs to them for food. Today we watched the gull being fed by its foster parents several times. Another day of calm winds brought a small number of new migrants, most of which were probably grounded by the light early-morning showers or the torrential deluge that followed a few hours later. An Icterine Warbler was the pick of the bunch, a late addition to an already-impressive tally of the species this spring. A male Blue-headed Wagtail near the lighthouse was also notable in a rather less impressive spring for flava wags in general; and other passerines included 3 Spotted Flycatchers, 3 Chiffchaffs and a Song Thrush. The first Storm Petrel of the year flew past the seawatching hide; 3 Collared Doves and a Swift were seen; and the southbound passage of Golden Plovers, underway almost as soon as the last northbound migrants had departed from sight, increased to 24 birds. A female Red-backed Shrike which appeared outside the Observatory mid-morning was a timely reminder that the spring wasn't quite over yet. Otherwise it was much the same as recent days with another Short-eared Owl, this time at Howar, the Collared Dove and at least 4 Siskins. A very quiet weekend with very few changes or arrivals. On 16th a Short-eared Owl was near the Observatory and 5 Whimbrels were in the north of the Island. A Collared Dove, new Blackcap and 4 Siskins were at Holland House the day after, while 9 Golden Plovers near the School were the first indication that their numbers will soon be building up. A smart Long-eared Owl in Holland House early morning was an un-expected new arrival so late in the spring, with more predictable other new birds being singles of Lesser Whitethroat and Garden Warbler, 3 Blackcaps, a Willow Warbler and a Common Redpoll. 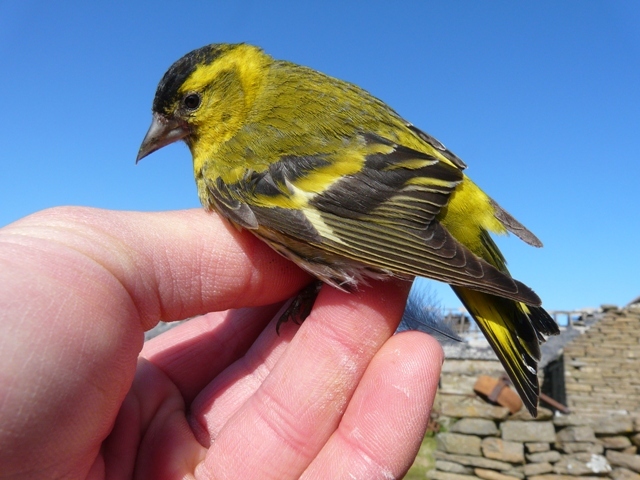 A Short-eared Owl and Siskin were likely to have been lingering birds. A very quiet morning, livened up by a few notable arrivals in the afternoon the best of which was a Nightjar disturbed from rocks near the airfield. 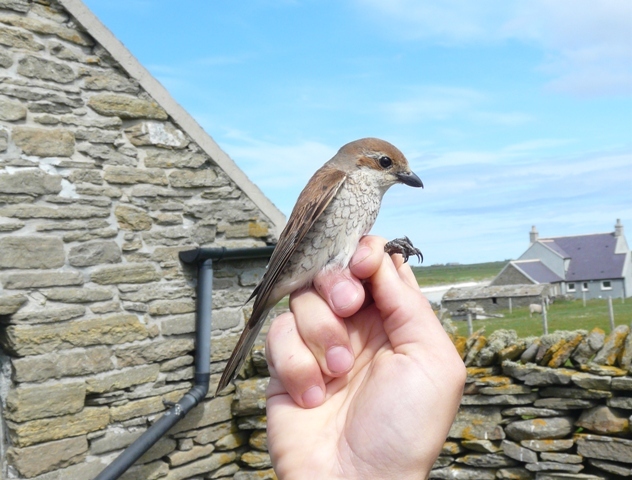 This is only the 11th record for the Island and with just 3 records prior to 2008 it had been a true Orkney rarity, but with an influx of 4 in that year followed by another 3 in 2009 we can perhaps look forward to more regular occurrences in the future. The other surprise was a record flock of 6 Canada Geese in fields at Lenswick in the evening-no more than 2 having been present together previously. A late Fieldfare was also seen, while lingering birds included a Garden Warbler the Snow Bunting and a Short-eared Owl. It was another quiet day, with a smart male Snow Bunting at Trolla Vatn in the afternoon easily the best bird. Other passerines of note included the Lesser Whitethroat, a couple of Garden Warblers and 6 Siskins at Holland House. There was a slight increase in waders with 92 Bar-tailed Godwits at the north end a good count, along with 100 Knots and 13 Dunlins. 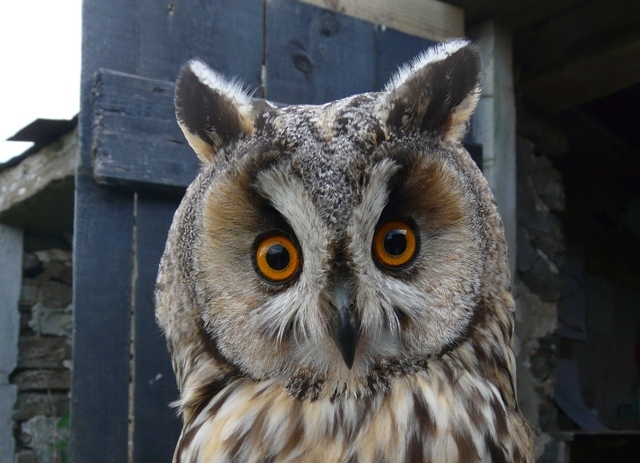 A Short-eared Owl was near the observatory and the Whooper Swan remains on Bewan. There was less coverage than usual today with attention focused on the Island's breeding birds. A few new arrivals were noted though so the spring isn't over just yet. A female Red-backed Shrike near Hooking was the highlight, and a different individual to yesterday's bird, while a singing Lesser Whitethroat at Holland House was also new. Remaining passerine migrants included the same Redstart, a Garden Warbler, just 1 Spotted Flycatcher and 3 Siskins. Although a slightly quieter day, there were still a few new birds around, the highlight of which was a female Red-backed Shrike at the north of the island. 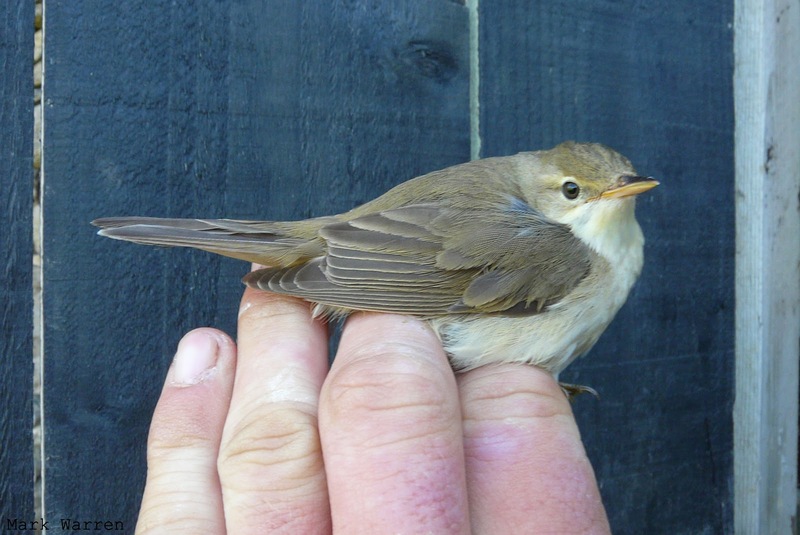 The only other scarcity was the Marsh Warbler that was ringed on 30th May, reappearing unexpectedly in the Holland House mist nets. Other migrants included a Kestrel, a White Wagtail, a Robin, the same late Dunnock, 2 Whitethroats, 2 Garden Warblers, 4 Blackcaps, 3 Chiffchaffs, a Spotted Flycatcher and a Siskin. The Paddyfield Warbler remained at Holland House, showing well at times, throughout the day, and an Icterine Warbler was also still present in the gardens. Scattered migrants included a Redstart, a Reed Warbler, 2 Whitethroats, 2 Garden Warblers, 2 Blackcaps, 2 Chiffchaffs, 3 Willow Warblers, 4 Spotted Flycatchers, 8 Siskins and a Short-eared Owl. Getting the day off to a fantastic, and earlier than usual, start, a Paddyfield Warbler was trapped and ringed at Holland House at around 5.30 in the morning. 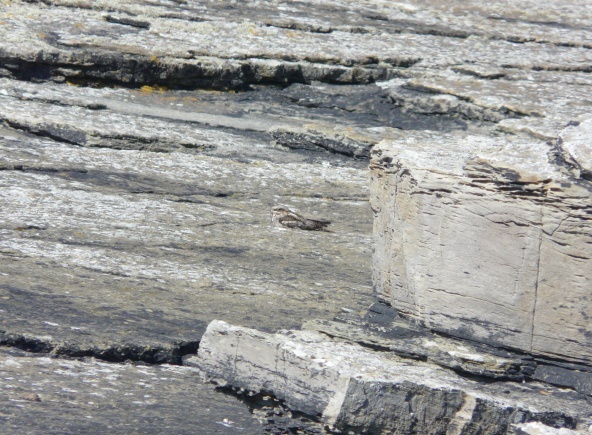 This is only the second record of the species on North Ronaldsay - a fact than can probably be attributed, at least in part, to the wealth of habitat available for secretive Acros to hide themselves in. An increased number of other migrants was evident as the day progressed. The highlights were 3 Crossbills, 2 Icterine Warblers and a Marsh Warbler, while counts of commoner passerines included 18 Spotted Flycatchers, 2 Tree Pipits, a Song Thrush, a Fieldfare, 7 Blackcaps, 3 Garden Warblers, 4 Whitethroats, 1 Lesser Whitethroat, 6 Willow Warblers, 1 Chiffchaff and 1 Dunnock. A Cuckoo was on the west coast, a Little Stint was at Trollavatn and an unseasonable adult Glaucous Gull was in Nouster Bay. 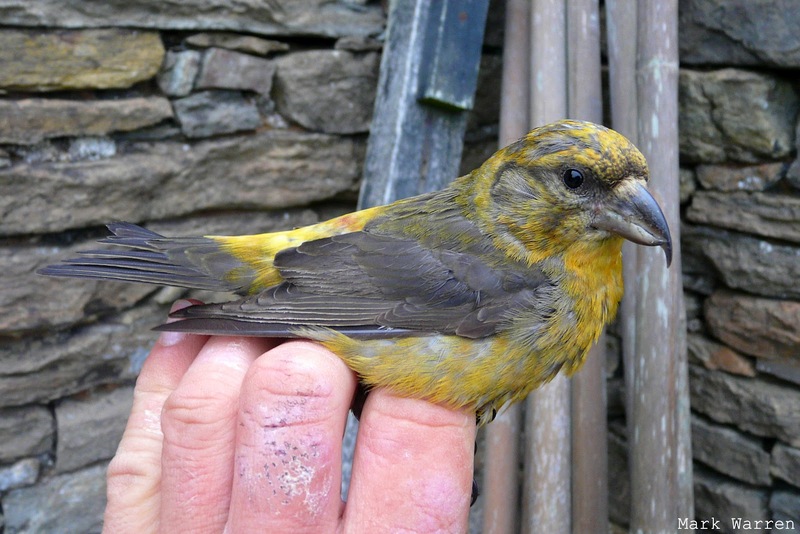 A couple of the Crossbills were trapped and ringed in the morning. Small numbers of migrants continued to arrive, with new warblers and flycatchers still appearing late in the afternoon. Scarcities were represented by 3 Icterine Warblers in the north-west part of the island and the same Marsh Warbler at the observatory. At least 13 Spotted Flycatchers were found by the end of the day, most of which seemed to have come in after lunch; other migrant counts came to 4 Garden Warblers, 2 Blackcaps, 2 Whitethroats, 4 Willow Warblers, 2 Chiffchaffs, a Dunnock and a Swift. More of the same conditions, which might have been expected to bring spectacular falls of birds a few weeks earlier in the year, continued to drop the odd late migrant down, and a small number of new passerines were to be found thinly dotted around the island. 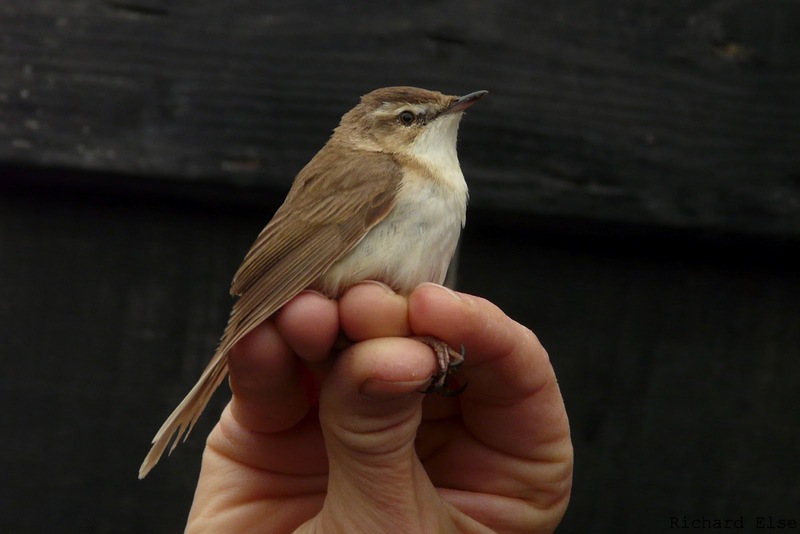 The only scarcities were 2 new Marsh Warblers, one of which was trapped and ringed at the observatory. Other migrants included 4 Spotted Flycatchers, 3 House Martins, 1 Whitethroat, 1 Lesser Whitethroat, 1 Garden Warbler, 1 Willow Warbler and a Short-eared Owl. The Ruff was still on Gretchen Loch and 4 Whimbrels were seen. A day of easterly winds and mainly misty, drizzly, mizzly weather eventually delivered a few migrants as expected. New-in were a Garden Warbler, a Blackcap, 2 Willow Warblers, 2 Spotted Flycatchers, a Dunnock and a Short-eared Owl, as well as a few Wheatears (including at least a couple of Greenlandic birds). A Marsh Warbler at the surgery was thought likely to be the bird ringed a few days previously. There was nothing new apart from a Siskin and a Common Redpoll. A Whooper Swan that arrived the previous day was still present and 3 Chiffchaffs were seen. There was no sign of the American Golden Plover, and almost no new migrants at all; but an intriguing new visitor, and the latest threat to the (probably already compromised) purity of the island's Greylag Goose gene pool, provided some excitement for wildfowl hybrid fans. Two geese; how many species? 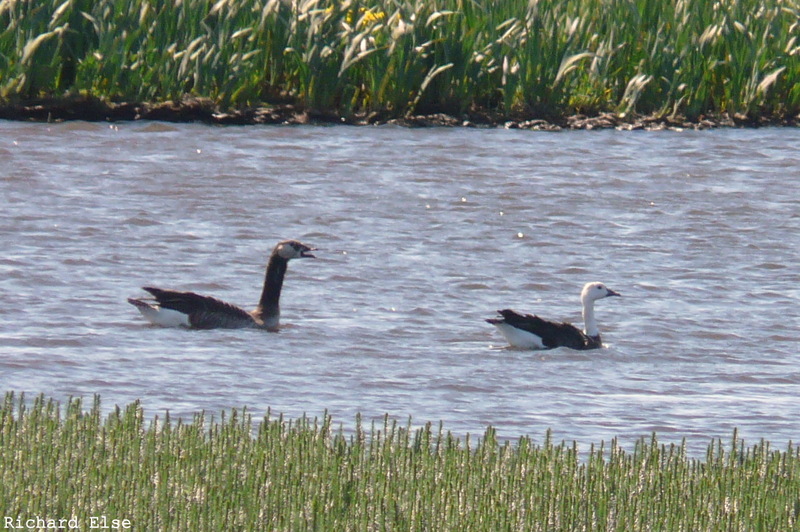 Today's bird (right) was closely associated with one of the regular Greylag x Canada Goose hybrids (left). Initial research seems to support the hypothesis of Snow Goose x Canada Goose parentage. 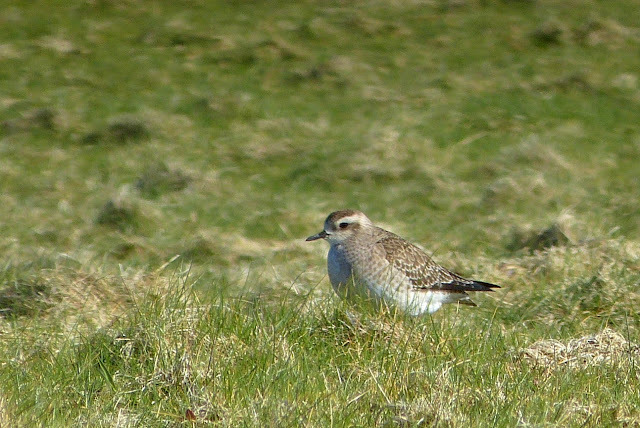 Another particularly quiet day was improved considerably by an American Golden Plover that dropped into a field near Lurand in the afternoon. Although there are 9 previous records of the species here, they have all occurred in the autumn, so this spring bird was quite unexpected. A Chaffinch was just about the best of the other new migrants seen. The Marsh Warbler from earlier in the week was retrapped at Holland House and the Ruff was still on Gretchen Loch. A male Ruff was on Gretchen Loch and the flock of Black-tailed Godwits there increased to 4 birds, but there were no other new birds to report. An Icterine Warbler seen briefly at Holland House was presumably the long-staying individual. The beginning of June brought very little to report other than a Little Stint near Bewan Loch and 3 Black-tailed Godwits on Gretchen loch. A Marsh Warbler at Holland House wasn't seen well enough to be certain that it was the same individual from earlier in the week, and all 6 Collared Doves were still present. On a mostly very quiet day, a couple of new Curlew Sandpipers at Westness were about the most noteworthy birds. A flock of 6 Collared Doves arrived and other presumed fresh migrants included a Sedge Warbler and 2 Siskins. Those remaining from previous days included the Icterine Warbler, Little Gull and Fieldfare.